Do you need someone who can find the evidence you need? Even if it’s been deleted? We stand up to the questioning from the other side, and explain the results of our digital e-discovery to you, the judge, and the jury. 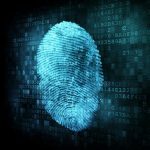 If you need a forensics expert that can make a computer understandable and help you win your case - we'd like to hear from you. Do you need someone who can find deleted files, hidden emails, unauthorized access, stolen information, or secret communication? We also offer expert witness services in the data recovery field of expertise. Our hands on court experience means less jargon for you, and a more streamlined data recovery presentation. From preparing evidence, to courtroom presentation. View an overview of our forensic services. Get A Free Quote Online Today! 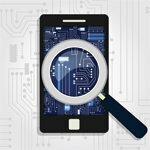 What Does Digital Forensics Find? Accidentally or intentionally deleted emails. Encrypted files with the key thrown away or lost. Files, documents and emails with falsified dates. By and large, when a computer file or document is erased, deleted, put in the Recycling Bin or Trashcan, all or part of it still remains on the computer's disk drive. Even when it has been overwritten, most of the time, there is something relevant to be found, given the sheer size (billions of sectors!) and complexity of operating systems such as Windows, Macintosh, and others. Learn more.